The rivalry between Australia and New Zealand is a big one: there’s pavlova, Rugby Union, Russel Crowe, Netball—you get the gist. What we can agree on though, is that New Zealand has seriously good food, that you probably thought you’d only be able to find on your next trip home. Because we can’t stop watching Hunt For The Wilderpeople (we’re calling it: best movie of 2016? ), we’ve decided to put together this nifty little list of the best places to snap up food from New Zealand when you’re feeling home sick, or just hungry AF. These guys really don’t need an introduction. But, if you’re a Kiwi who doesn’t frequent Grandma’s Kiwi Kitchen, we have a feeling your life is about to change. If you’re sick of calling sweet potatoes anything other than kumara, order the kumara chunks, stat. The battered NZ green lip muscles are also delicious. Obviously order the fush & chups kiwi style with kumara chunks, too. Australian’s just don’t do Hangis right. Or at all. It’s okay—we can accept that. That’s why we love the Hangi Pit. Aside from a mean hangi, look out for the L&P, Feijoa and Crispy Apple Fresh Up, Pineapple Lumps, K-Bars, Eta Ripple, Watties Tomato Sauce, Eskimo Lollies, and baked goods with traditional Kiwi recipes. Ah, Hangi Pit, we love you. If you miss your fam’s cooking while you’re in Australia, Taua’s NZ Bakehouse does a pretty good job at satisfying your cravings. Lolly cake, Afghan biscuits, coconut crunch, and ginger crunch can all be found here! It’s the little things that you really miss, and while you can’t have the fresh fish you caught yourself, the produce at The Maori Butcher takes a close second. Check them out if you’re on the hunt for smoked eel, pork bones, kina (sea urchins), mussles, Whitebait, and New Zealand’s fave fish like Kahawai, Mullet, and Snapper—or, give them a visit if you just need to hear an NZ accent. Finally, a place you can say ‘dairy’ and not be met with a seriously confused look. Hit up the Kiwi Corner Dairy for all your Whittaker’s (so. much. 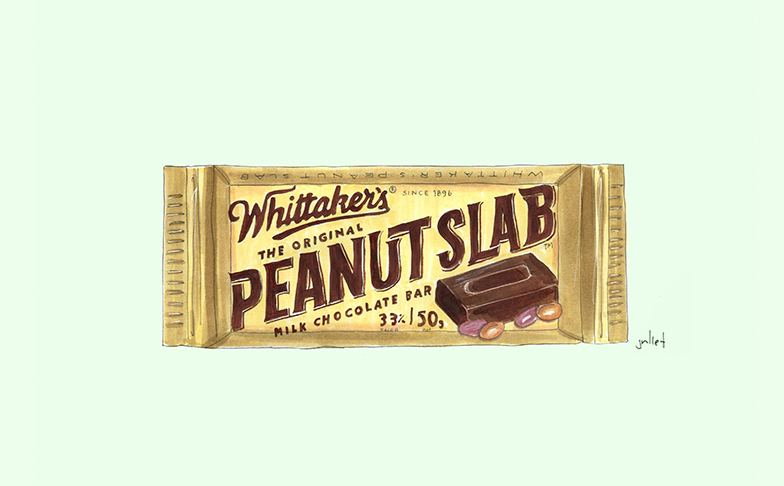 peanut slab. ), ginger nuts, onion soup and reduced cream needs. Seriously, if you miss it, you can find it here. Got any tips for hidden Kiwi gems? Let us know!